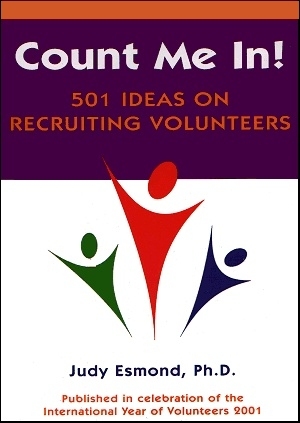 Would you like to get your hands on 100, 300 or even 501 ideas on how to recruit, retain, and recognize more volunteers? Well let’s do better. Let’s double it! How about 1,002 ideas? For over 20 years now we have run sell-out workshops, presented at major conferences and conducted ground-breaking research into volunteering. And yet many of you have not had the chance to attend our workshops or maybe even seen any of our work. Well that is about to change! When we’ve had the opportunity to work with 1000s of you dealing with volunteers, in both small and large organizations, we have always continued to ask the question – what are the biggest challenges that you face? Now there has always been a wide range of requests for information on all aspects of leading and managing volunteers. How do we recruit, recognize and retain more volunteers? Now this can be a tough assignment. And although our workshops are packed with great ‘out of the box’ ideas we have only been able to share these ideas with a limited number of you. But we really wanted everyone to know about literally 100s of ideas that they could use. We had also found very few good books on the subject and decided that the only thing to do was to write our own. absolutely packed with ideas from a whole range of different sources – business, marketing, advertising, human resources and more – that you could adapt to your own circumstances. Avoid costly recruitment pitfalls and mistakes. For as Linus Pauling (US chemist and Nobel Prize winner) says…“If you want to get a good idea, get lots of ideas” and we have 1002 for you! 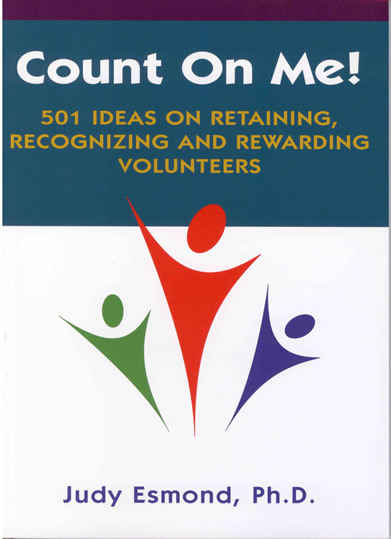 These really are MUST HAVE books for everyone involved in volunteer recruitment, recognition and retention. But don’t just take our word for it that these are great books! 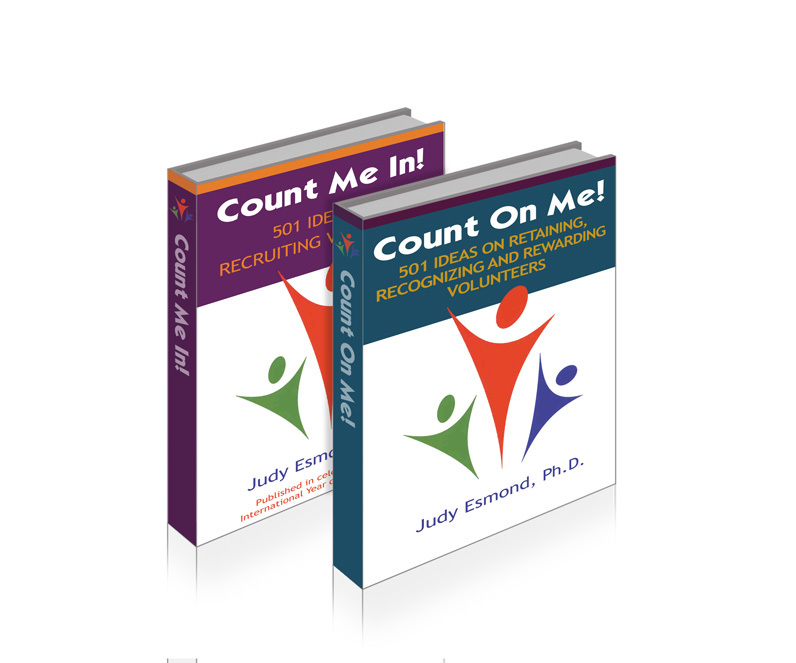 If you are serious about recruiting, retaining and recognizing even more volunteers…then get your hands on these books NOW! We have a great deal for you…usually both books are $59 but we’ve been able to arrange a smaller print size for the reprint of Count On Me so we’ve saved on the number of pages…so that is another $10 saving for you. You can pay via credit card or email us for an invoice and pay later. * All prices are in Australian Dollars (incls GST) Current conversions are now approximately $1AUS = 0.75USD. For example, the cost for both books $69AUS = $52 USD. Allow approximately 10 working days for postal delivery time. Just email Judy directly at judyesmond@gmail.com with your order details for paperback books – name, organization and address. We will then email you back to confirm your order within 24 hours and ship the books to you with the invoice for payment enclosed. When you receive the books, you can then pay the invoice either pay by cheque, credit card or EFT. Please Note: Interested in a bulk order of books? Then email Judy directly judyesmond@gmail.com for great discount prices. Now here is our promise to you. We are so confident that you will find so many more ideas that you can use to increase your volunteer recruitment, recognition and retention success that we are offering you a no-risk, 100% money back guarantee. If you do not believe you have gained a multitude of ideas to use and value for money – we will cheerfully refund your money. We just do not want any unhappy customers. Now how many books come with that guarantee?